Here are my top ten films of 2012. I go by Academy rules, so theatrically released films in the calendar year are in play. In other words, the copyright on some of these may say 2011 or even 2010 but I classify them as 2012. Here we go. 10. 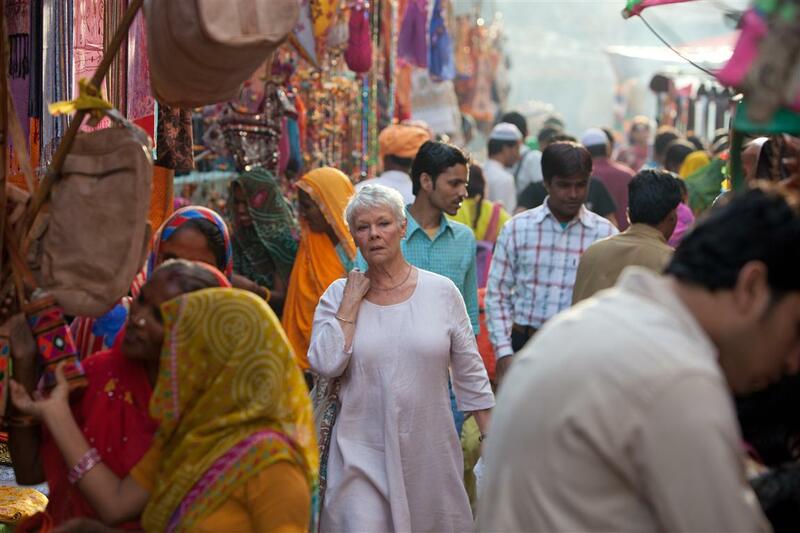 The Best Exotic Marigold Hotel – Back in May, this opened on the same day as The Avengers which led to several great comedic opportunities to compare/contrast the two. Though I am a 35-year-old straight white male, I actually preferred this one, seeing it in the theater while I didn’t catch up with the Avengers until a few months later at home (and was largely apathetic to it). There’s something to be said for a straightforward story, well told and impeccably (i.e. British) acted. What’s not to like. 9. Teddy Bear – A quiet, and I mean QUIET, curiosity from Denmark, it is the story of bodybuilder who travels to Thailand in search of love and in defiance of his controlling mother. A gentleman through and through, if you’re not rooting for this gentle giant by the end then you, my friend, are made of stone. 8. Premium Rush – Joseph Gordon Levitt was in about a thousand movies this year and pretty good in just about all of them, but this was my favorite. A quick, genuinely exciting tale of a single day in the life of a bike messenger in Manhattan. The use of real honest-to-goodness-NYC-not-Toronto locations was excellent, from Columbia University to Chinatown and seemingly everywhere in between. The way the plot unfolded in a nonlinear fashion was neat too. Michael Shannon seemed to think he was in a telenovela with his unsubtle acting, but otherwise it is an unpretentious blast. 7. Flight – The performance of the year, easily. Denzel is in just about every second and is mesmerizing. He won’t win the Oscar, but he should. The story goes in unexpected directions but is all the better for it. A welcome return to live action filmmaking from Robert Zemeckis after a decade in the computer animated wilderness. 6. Sacrifice – This year I have had a burgeoning interest in all things Chinese, films included, and this was the pick of the bunch. Technically it was made in 2010 but not released theatrically in the US until July of 2012, so I am shoehorning it into my top ten. It is an absorbing, exciting multi generational saga of power, deception, revolution, and oddly enough, parenting. It’s on Netflix streaming, give it a chance. 5. Skyfall – I have been a fan of James Bond movies since I can remember. I grew up on a taped-from-HBO copy of For Your Eyes Only, and TBS’ running of a Bond film every Wednesday evening was a staple of my early adolescence. But it’s been a long, long time since a Bond film was genuinely great, rather than just entertaining. But then, along came Skyfall. There was much to recommend it, from Roger Deakins’ jaw dropping cinematography, Adele’s epic title song (which after you see the film realize contains loads of spoilers) to the swaggering confidence of its storytelling. 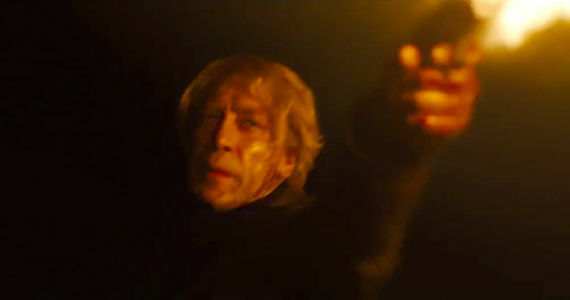 A single image remains etched in my head; Javier Bardem’s face lit only by fire as he casually stalks his prey moving toward the unexpectedly titular location. 4. 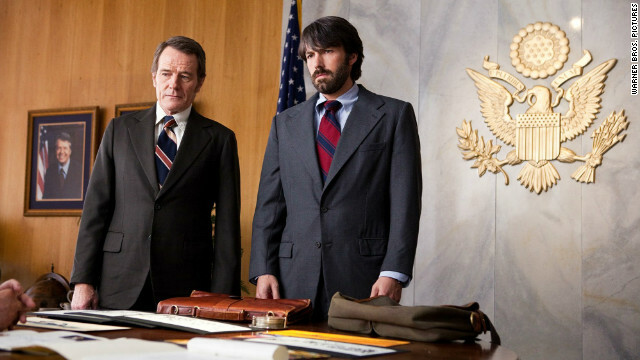 Argo – Maybe the most genuinely entertaining film of the year. 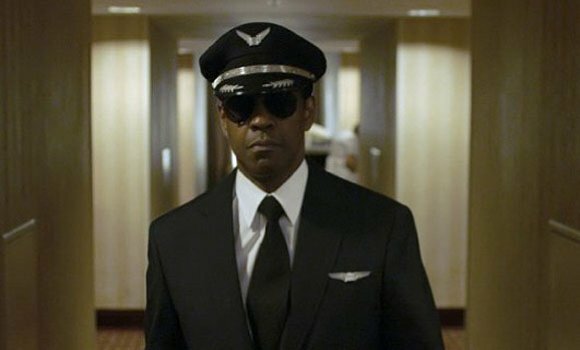 A stranger-than-fiction true story, it may have goosed the ending a bit (the real airport escape was completley uneventful) with the Hollywood cheese it was supposedly mocking, but no film was as instantly absorbing and ingratiating. The attention to historical detail was well appreciated, from the archaic 70s televisions to the unfortuante facial hair choices. It could have been a bit more balanced (seemingly every Iranian is either a frothing zealot or a dim bulb to be fooled) but for the last 45 minutes or so I can’t recall being as wound up in a story as I was this one. 3. Ruby Sparks – I have liked Zoe Kazan since a small but memorable role in 2008’s Revolutionary Road, and here she not only starred in but wrote this surprisingly affecting film, deconstructing the Manic Pixie Dream Girl prototype in movies. You know, the girl who exists solely to cheer up a depressed white male with artistic aspirations, inevitably conceived by white male writers and directors; Natalie Portman in Garden State and Kirsten Dunst in Elizabethtown being the most glaring examples. And well, since I am a sometimes depressed white male with the occasional artistic aspiration, I have been gullible to this trope as much as anyone. Paul Dano, a writer struggling with a serious sophomore slump, invents the perfect girl to write about and she pops into existence the following morning and its love at first sight. But as any great fable will tell you, perfection almost always turns out to be a curse and complications ensue. The trailers sold it as a whimsical romcom but it is more a drama about the rottenness of men who want women to conform to their every whim and exist solely for their benefit, and just how hurtful and insulting that can be to both sides of the equation. There’s plenty to delve into on several levels but most of all it is an entertaining, unexpectedly moving film. 2. Life of Pi – I saw this a bit late, but once I did I was pretty much blown away by it. Perhaps one of the prettiest films I have ever seen. I purposefully avoided the 3D presentation, a format I positively despise, and am very glad that I did. It takes in all sorts of religions and spirituality, as well as the nature of storytelling. I have not read the popular book it is based on, but now I am intrigued. I’m not sure I can explain why it affected me as much as it did, I’m still ruminating. One thing, though, I appreciate the calmness and even placidity of Ang Lee’s direction. Even the action sequences have a graceful beauty to them. A tanker shipwreck at sea is simultaneously terrifying and oddly beautiful as well. It is going to look amazing on blu-ray, but I am glad I got the theatrical experience first. 1. Moonrise Kingdom – Well, here it is. I pretty much knew when I walked out of the Avon Theater here in Providence back in June that this would be my number one, and so it remains seven months later. Yes, the hipster quirk and twee preciousness nearly reach tipping points, but it just toes the line. No film I’ve seen has captured the melancholy of young, ephemeral love and the yearning loneliness of childhood as well as this. As a builder of worlds, Wes Anderson is just about unmatched. An idyllic sliver off the coast of New England, New Penzance Island is a wondrous creation of cinematography and location work. Filmed locally around the quietly beautiful Narragansett Bay, as a resident of Rhode Island I was enraptured and appreciative of the locales. It also captures the languid humidity of a late New England summer, how a day can stretch on into the infinite. The plot is almost irrelevant (if a tad intrusive), I could just watch Sam and Suzie wander the island for hours and hours. I’m not sure why it struck such a chord with me, I hated scouting as a kid and to this day I’m extremely un-outdoorsy, but that is the magic and power of a cinematic experience. I’m willing to grant that TV has superseded film in the realms of memorable characters and gripping narratives. Mad Men, Boardwalk Empire, Game of Thrones, and even the crazy twists and turns of the addictive Homeland are where you’ll see the finest acting, writing, directing and storytelling these days. However it is a singular experience such as Moonrise Kingdom, one that is full of wonder, beauty, humor, warmth, and sadness, that serves as a timely reminder that going to the movies is still worth it. The Dark Knight Rises – I’ve never been a huge fan of the Nolan Batman series, but in terms of event filmmaking and conversation generation, it is pretty much a must see. Seeing it in IMAX made it extra-intensive. Again, I didn’t love it, but I appreciated it in an odd way for its ability to bring people together, even after the horrors in Aurora. Not Fade Away – pretty good, but the WTF ending left a bad taste. Albatross – If you want to see Lady Sybil from Downton Abbey naked for a few seconds, here’s your movie. Lincoln – US history, especially the 19th century, is a keen interest of mine. So this was catnip for me. I liked it for the most part but had a few issues; it’s a little repetitive, every 15 minutes or so Lincoln spins a folksy yarn that illuminates the situation (which, to be fair, is true to history). At times Spielberg can over direct things and make every scene have a magical payoff, when it should just play out, but for the most part it is a solid film. Les Miserables – I almost feel like I have to recuse myself with this one, like a judge who is too close to the issue. This is my favorite musical by far, so it was unlikely to live up to the movie that’d been playing in my head for the past 25 years. It was also a big bond between my late mother and I. A quote from this musical is on her headstone. It was a solid effort, I did cry, and yes, Anne Hathaway, as much as I am not a fan, was amazing and should walk away with the Oscar. The Woman in Black – another property from the theatre that I almost feel too close to. When I saw this on the stage in London in 1999 it was easily the scariest thing I’d ever seen, play or otherwise. The movie had some good chilis too but ultimately couldn’t quite live up to the stage experience still indelibly etched in my mind. Trishna – inspired by Thomas Hardy, it is naturally bleak, but still involving and heartbreaking. 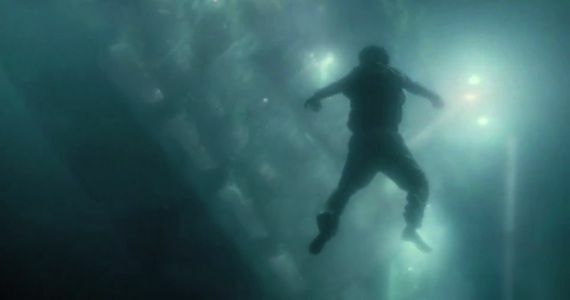 The Grey – perhaps the manliest movie of all time, the ambiguity of the ending really stuck with me, especially the music cue that accompanied it “Alpha”, which found its way on to my Best of 2012 Mix. Pitch Perfect – a pleasant way to pass a couple of hours while your car is being inspected. Delicacy – Audrey Tautou, luminous as ever.